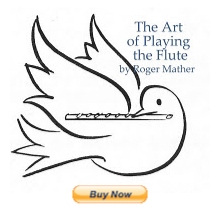 Some very fine solo flute mp3s online for free. Flutist Silvia Careddu plays Syrinx by Debussy, and Marais " Les Folies d'Espagne". You can right click them and "save target as" or simply listen. Here is the link to the mp3s. Mesmerizing performances from this young player. You can also read this flutist's biography here..